To protect her sister, Kantmiss volunteers to participate in the the annual Starving Games, a battle of life and death whose winner will receive a bounty including an old ham, a coupon for Subway and a partial eaten pickle. So, Happy Starving Games, and may the odds be never in your favor. Writers and directors Jason Friedberg and Aaron Seltzer aren’t strangers to the parody genre, as a matter of fact I think they have been somehow involved with every spoof out there, except Not Another Teen Movie. But after Scary Movie 1-3 I have hardly seen one that worked, so I lowered my expectation below zero. Surprisingly I had to laugh out loud after a few minutes already, and kept at least a smile on my face while watching movies like The Expendable, The Avengers, Avatar, Lord of The Rings, and celebrities like Taylor Swift were made fun of. And most of the doubles looked very authentic as well. Sadly there were a lot more jokes that simply backfired and weren’t funny at all. 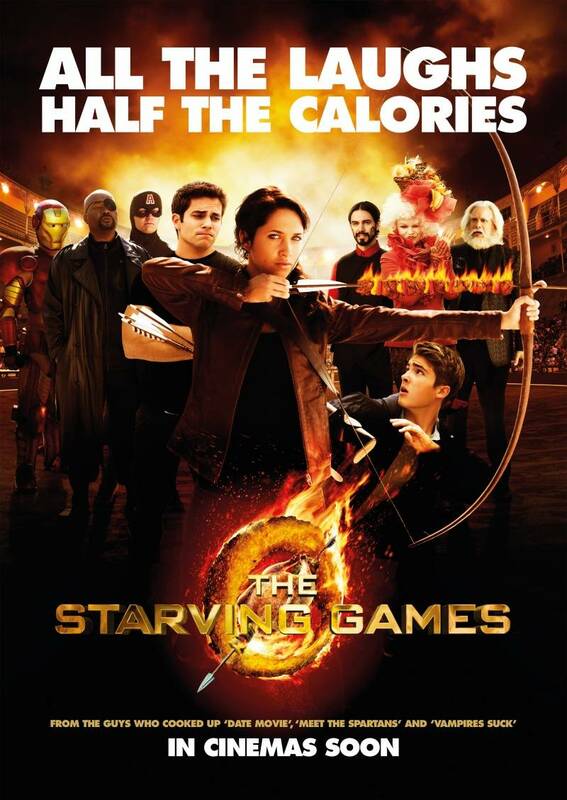 With that said, I think The Starving Games is one of the better mockeries out there, and has actually quite enjoyable moments, because the actors are very committed, even though the movie is really trashy and surprisingly raunchy for a PG-13 rating. Did the MPAA lower their prudishness a little? I hope so. Again, if you watch it, lower your expectation, because the good parodies have been made already. But I am sure you have to giggle at least two or three times. Cruising (1980) – Al Pacino’s most cotroversial Role? I heard about this, but didn’t know it was out already! Not Another Teen Movie is my fav spoof movie! Yes, that one was funny. I like Scary Movie part 1 the most, I think. I don’t even remember how I came across that one! HAHAHA.